With a dramatic setting along an untouched peninsula of the Caribbean Sea coastline, Excellence Playa Mujeres is an all inclusive all suite resort set on a two mile stretch of virgin sands leading to Cancun. 13 categories of elegant and ultra luxurious suites are available for guests to choose from. Each one of the suites is equipped with a wide sectional sofa, a flat screen TV, and a private Jacuzzi with indoor and outdoor access. 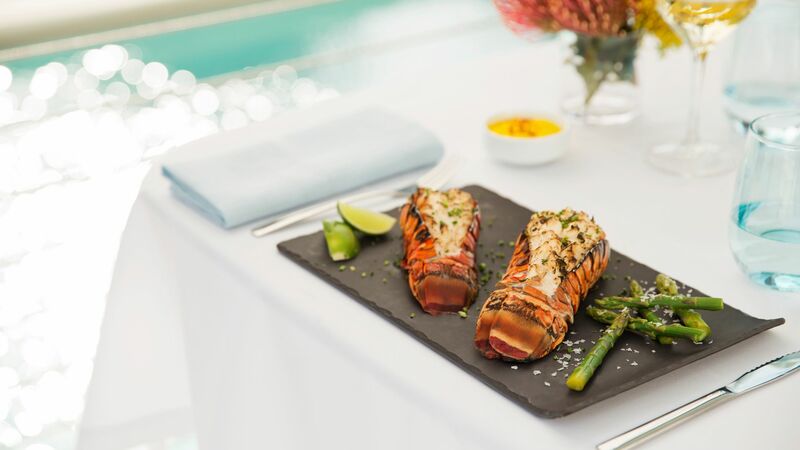 The resort’s gourmet restaurants, charming atmosphere and world class service offer everything guests need to enjoy a seamless fine dining experience. Italian, Asian, French, Indian and Mexican cuisines are some of the delicious choices brought by Excellence Playa Mujeres. 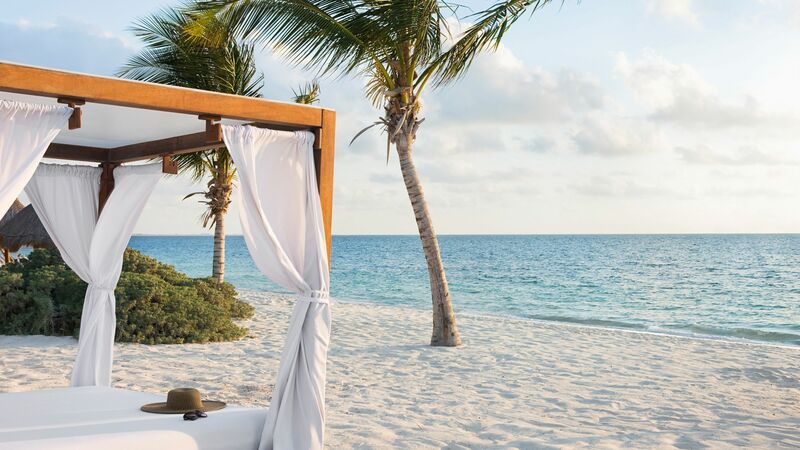 There are plenty of outdoor activities to enjoy while staying at Excellence Playa Mujeres; from exploring the magical marine life to enjoying a horse ride on the beach, or simply indulging in a wellness experience at the resort’s dreamy spa. All meals and snacks. Unlimited soft drinks, local and premium alcoholic drinks. Minibar. 24-hour room service. Non-motorised watersports. Daily activities. Wifi. 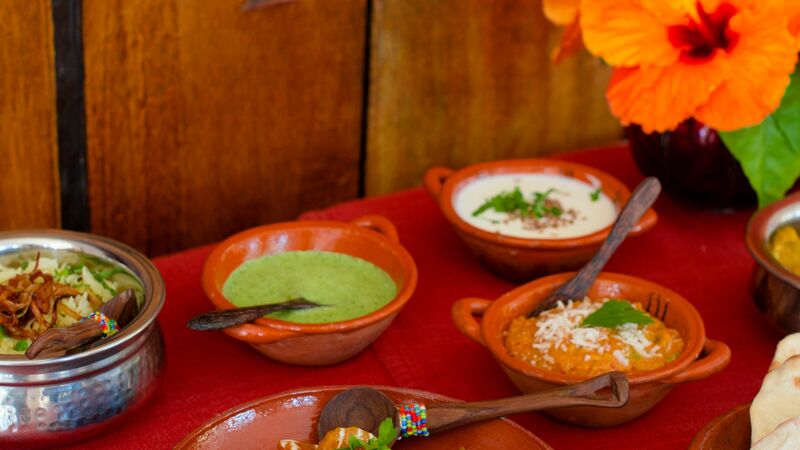 Agave offers an authentic Mexican buffet, serving guests a wide range of contemporary and traditional dishes and allowing them to dine in the hacienda courtyard and enjoy a live tableside Mariachi show. The dress code smart casual. 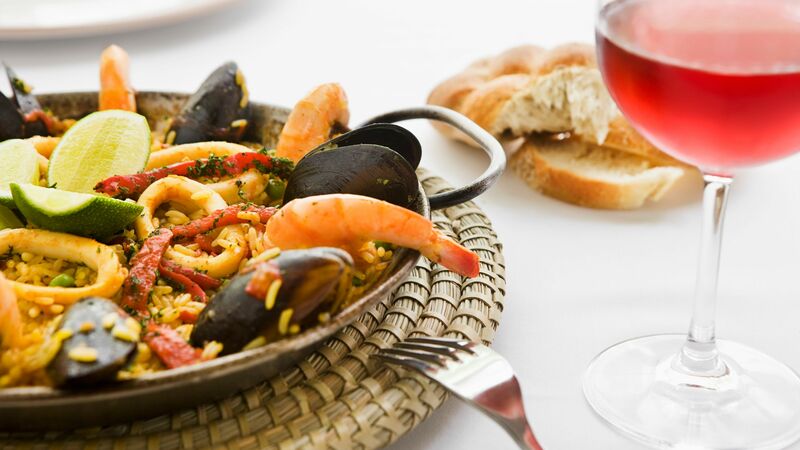 Barcelona is a Mediterranean themed restaurant offering a selection of Spanish inspired dishes. Basmati is the Indian offering of Excellence Playa Mujeres, taking guest on a culinary journey through the rich cultures of North West India. Flavor Market offers traditional Spanish snacks in a cosy atmosphere, complemented by a fine wine selection. Spice restaurant serves up the perfect blend of Pan Asian spices and exotic aromas, with live cooking sessions. The Lobster House is a world class sea food restaurant serving shellfish specialities, some caught straight from the Caribbean Sea on your doorstep. Toscana is an immaculate Italian restaurant serving a rich Mediterranean menu, inspired by authentic Italian delicacies. Excellence Playa Mujeres’ Sports Bar boasts a unique ambiance with a diversified snack menu and a huge screen for sports fans. Chez Isabelle offers the ultimate French dining experience with a luxurious, traditional design and fine French gastronomies. The Grill has is an open flame cooking concept where juicy steaks and sizzling seafood is grilled to perfection. 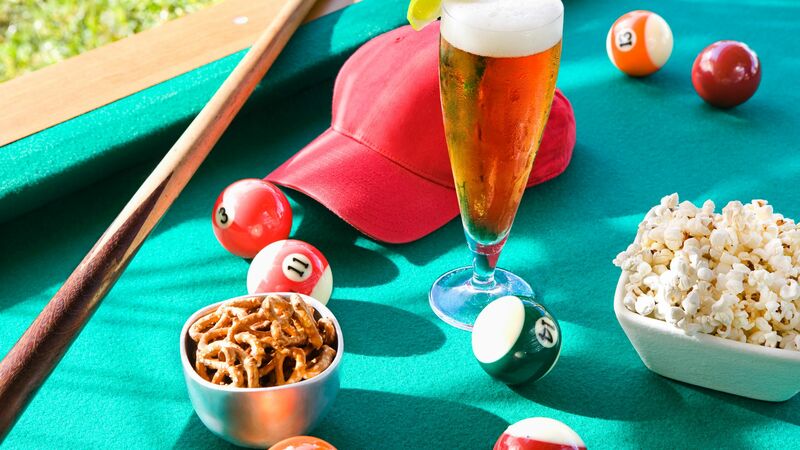 Las Olas is a beach bar offering light meals and refreshing drinks and boasting gorgeous beach views. Excellence Playa Mujeres has nine swimming pools spread across 1.25 acres of land. Two of the pools are heated during the winter and another two are in the Exclusive Club zone of the resort. The resort sits on a stunning two mile stretch of white sands. Kayaking, paddle boarding and sailing are some of the activities you can enjoy on the beach. With stunning surroundings and soothing deluxe interiors, Mile Spa is the ideal place for an hour or two of indulgence. 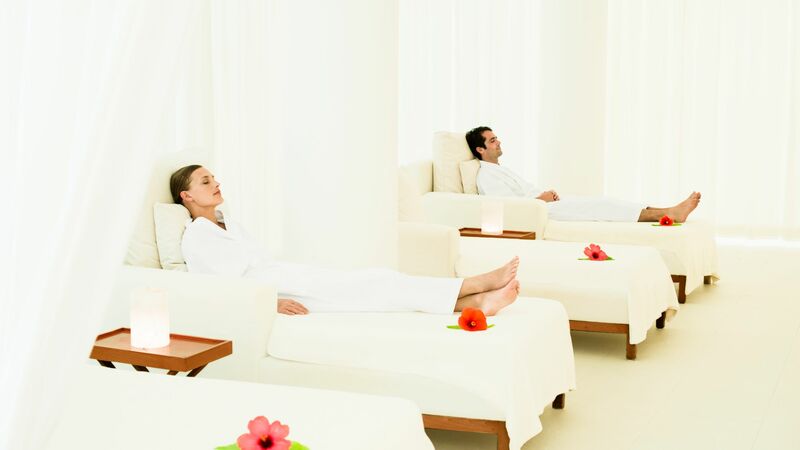 It offers various therapies and treatments, including a hydrotherapy pool, tropical rain showers, water plunge pools, steam baths and relaxation areas. 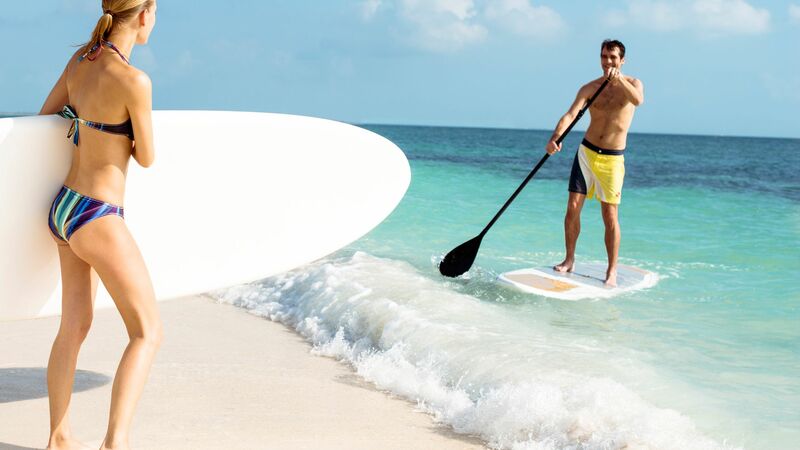 Try your hand at kayaking, paddle boarding or sailing in the crystal clear Caribbean Sea. 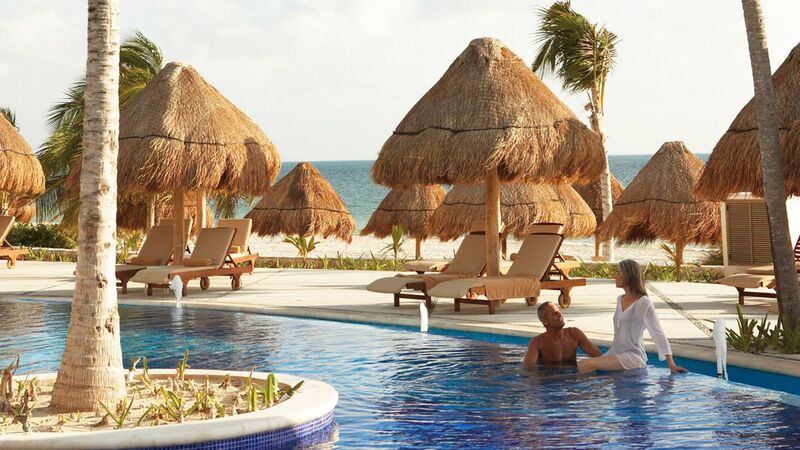 Stretched across Cancun’s virgin shoreline, Playa Mujeres is Mexico’s newest five star resort. It features a typical Caribbean look and feel, with three kilometres of white sand beaches, natural palms and sparkling azure waters to explore. Playa Mujeres has a wide range of high class restaurants and boutiques, lavish hotels and some of the top rated golf courses in Mexico, such as the prominent Playa Mujeres Golf Club which was designed by the legendary golfing star, Greg Norman. Isla Mujeres, a charming small island neighbouring Playa Mujeres is fantastic for explorers, with a pure, peaceful beach perfect for snorkelling and scuba diving. La Amada Marina, another adjacent harbour, showcases an exclusive collection of extravagant yachts that dazzle visitors from all over the world. Excellence Playa Mujeres is a 30 minute drive from Cancun Airport. Junior Suites with Spa or Pool View are decorated in a contemporary style and feature 1 King-size four-poster bed or 2 double beds, air conditioning, TV, CD/DVD player, telephone, radio/alarm clock with iPod® dock, safe, tea & coffee making facilities, minibar, in-room premium wine and liquor selection, iron & ironing board, wifi, lounge area with sofa, bathroom with shower, whirlpool bath, hairdryer, bathrobes & slippers and a balcony or terrace with a spa or pool view. Junior Swim-up Suites with Spa or Pool View feature a King-size bed and are located on the ground floor with direct access to the swimming pool via your terrace. Terrace Suites with Plunge Pools offer a very spacious suite with its own plunge pool and private terrace, complete with loungers and outdoor shower. Two Storey Rooftop Terrace Suites with Spa or Pool View feature a King-size bed, seating area, marble bathroom with a double shower for two and a private rooftop terrace with a plunge pool. Excellence Club Junior Suites with Pool View are located in the Excellence Club section. They feature a King-size bed and are located on the ground floor with pool views. Guests booking an Excellence Club room will also receive the following benefits; private check-in and check-out, access to a private lounge with buffet and bar service, access to a private pool and beach area, complimentary daily newspaper, beach bag for use during your stay, daily fruit basket, fresh flowers on arrival and one Aqua Wellness Spa Treatment per person. Excellence Club Junior Suites Ocean Front are located in the Excellence Club section on the oceanfront. They feature a King-size bed, a minibar featuring an upgraded in-room premium wine and liquor selection, room service menu and Bvlgari bathroom amenities. Guests booking an Excellence Club room will also receive the following benefits; private check-in and check-out, access to a private lounge with buffet and bar service, access to a private pool and beach area, complimentary daily newspaper, beach bag for use during your stay, daily fruit basket, fresh flowers on arrival and one Aqua Wellness Spa Treatment per person. Excellence Club Two-Story Rooftop Terrace Suites Oceanfront are located in the Excellence Club section. They feature a king-size bed and are located over two floors with a private rooftop terrace and plunge pool overlooking the ocean (heated in winter months). Guests booking an Excellence Club room will also receive the following benefits; private check-in and check-out, access to a private lounge with buffet and bar service, access to a private pool and beach area, complimentary daily newspaper, beach bag for use during your stay, daily fruit basket, fresh flowers on arrival and one Aqua Wellness Spa Treatment per person. Excellence Club Honeymoon Suites with Private Pool are located in the Excellence Club section. They feature a four poster canopy king-size bed, separate living area, walk-in wardrobe and are located on the ground floor with a furnished terrace including a lounge bed for two and full front ocean views of the Caribbean sea. Guests booking an Excellence Club room will also receive the following benefits; private check-in and check-out, access to a private lounge with buffet and bar service, access to a private pool and beach area, complimentary daily newspaper, beach bag for use during your stay, daily fruit basket, fresh flowers on arrival and one Aqua Wellness Spa Treatment per person. Excellence Club Honeymoon Suite Two-Story Rooftop with Plunge Pool are located in the Excellence Club section. They feature a King-size bed, separate living area, walk-in wardrobe and are located on the ground floor with a furnished terrace including a lounge bed for two and full front ocean views of the Caribbean sea. Guests booking an Excellence Club room will also receive the following benefits; private check-in and check-out, access to a private lounge with buffet and bar service, access to a private pool and beach area, complimentary daily newspaper, beach bag for use during your stay, daily fruit basket, fresh flowers on arrival and one Aqua Wellness Spa Treatment per person. Imperial Suites Two-Storey Rooftop Terrace with Plunge Pool are well-appointed and span two levels to feature a furnished rooftop terrace with full ocean views, a plunge pool and outdoor shower. Guests booking an Excellence Club room will also receive the following benefits; private check-in and check-out, access to a private lounge with buffet and bar service, access to a private pool and beach area, complimentary daily newspaper, beach bag for use during your stay, daily fruit basket, fresh flowers on arrival and one Aqua Wellness Spa Treatment per person. Imperial Suites with Pool measure 185m2 and are suites located on the ground floor, there is a separate living room and dining room, an expansive furnished terrace with two lounge beds and a 56m2 private pool. These Suites feature the same superior amenities as the Excellence Club Honeymoon Suite, the Excellence Club amenities. Save up to 55% on the hotel price for holidays between 01 July - 31 October 2019 booked by 28 February 2019. Honeymooners will receive a bottle of sparkling wine, basket of fresh fruits and rose petals in their room upon arrival as well as one romantic dinner, one champagne breakfast in bed and special turn down service. Offer is for holidays until 31 October 2019 and valid for 3 months after your wedding date or 7 days before or after your anniversary date. Facility: clean and nicely laid out with the property very well maintained. Food; quality and service is TOP NOTCH. Staff; very attentive, accommodating, friendly and polite. Entertainment; very interesting options and entertaining evening shows. We had a wonderful and relaxing experience at the excellence resort! The staff was friendly and extremely accommodating. The trip was exactly what we wanted- rest and relaxation! We will definitely recommend to friends looking for a similar experience. Thank you! Our stay could not have been better. Gorgeous setting, and incredible service. Our room was fantastic (swim up suite). The theme dinners were not to be missed. The beach was beautiful. It could not have been a better stay. Truly impeccable! 50 stars. Beautiful resort, amazing service, fabulous food. The beach is beautiful and staff works so hard to keep it that way, no matter what the weather throws at it. You should not want for anything here that is not met and exceeded by the friendliest staff on the planet. Arrived with my daughter and was greeted with cold flannel and bubbles at the door. Check in was quick and on the way to our room within 10 minutes. All staff friendly and can?? ?t do enough for you. We had a swim up room and our server was fab, always checking to see if we was okay or needed anything. There?? ?s plenty of areas to either relax or find entertainment through out the day you are spoilt for choice. Fantastic experience at the mojito tasting and mixology class make sure you book them as loads of fun! Missing the martini bar and wishing I could pack it up in my case and bring it home, alone with the staff! Hoping to book again for next year and start the countdown until our next visit.